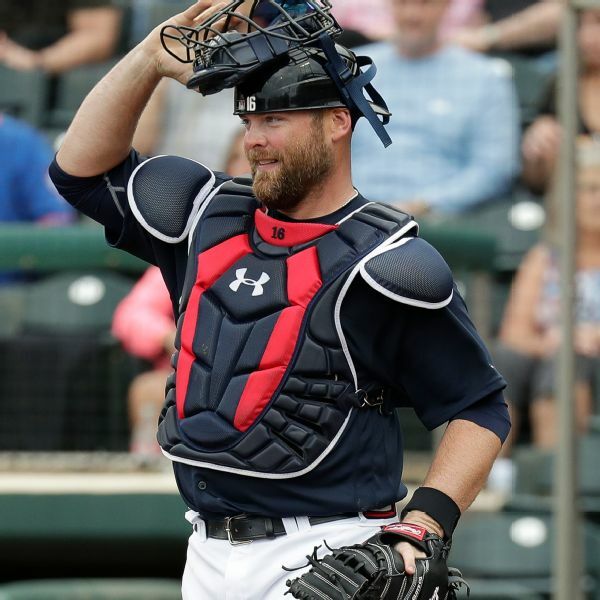 Brian McCann made his 2019 spring training debut with the Braves on Tuesday, returning to the team after spending three years with the Yankees and two with the Astros. Tyler Flowers has agreed to a $4 million contract with the Braves for next season. 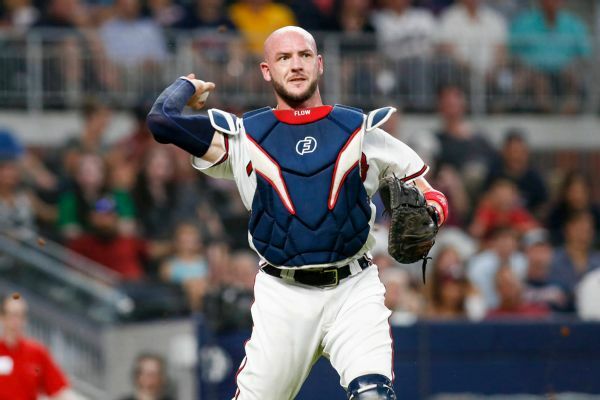 Atlanta Braves catcher Tyler Flowers left Friday's game at St. Louis in the sixth inning due to a right hamstring cramp. 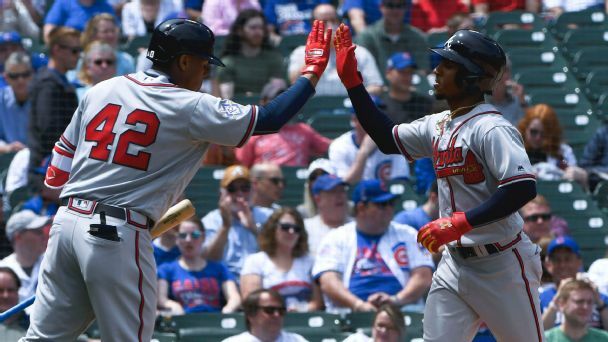 As they take their unexpected success in stride, the Braves hope to follow the lead of the 2015 Cubs, who rose faster than most thought they could. What the heck are catcher pop times? 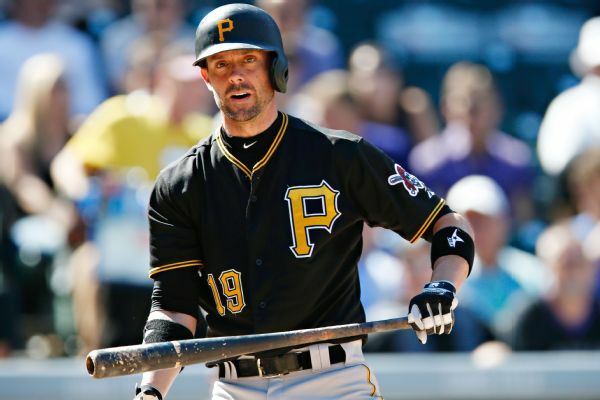 These days, fans are inundated with new numbers. Here's how to sound smart in five easy steps. Braves manager Brian Snitker said Friday that catcher Tyler Flowers felt a pop and that the oblique strain was diagnosed as being of midlevel severity. Braves catcher Tyler Flowers injured his left oblique while fouling off a pitch, wincing in pain before heading straight to the clubhouse during Thursday's opener vs. Philadelphia. 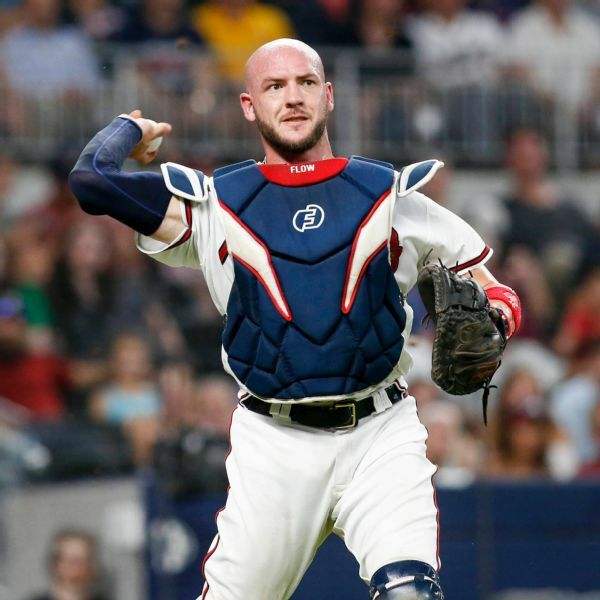 Catcher Chris Stewart has agreed to $575,000, one-year contract with the Atlanta Braves. 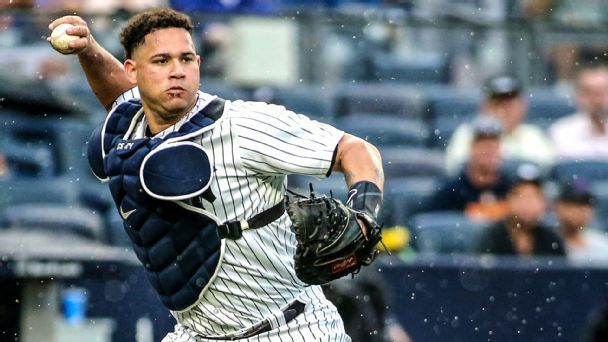 The Giant has long been MLB's best catcher. 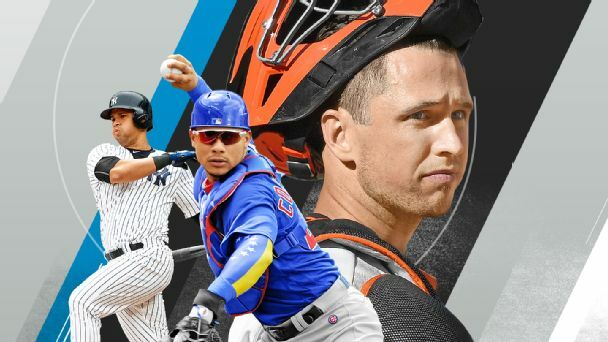 But can he fend off stiff competition from rising stars like Gary Sanchez or Willson Contreras this year? 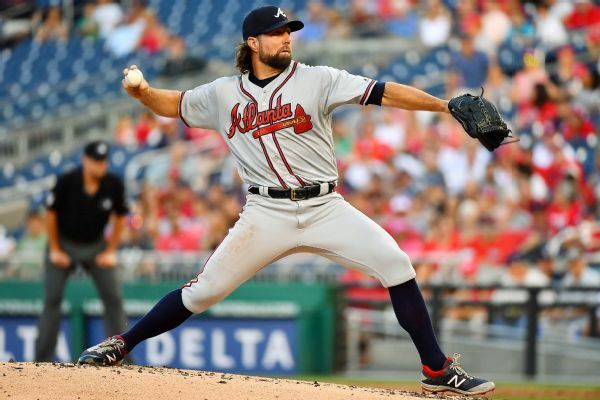 The Atlanta Braves have declined their $8 million option on 42-year-old knuckleballer R.A. Dickey and exercised their $4 million option on catcher Tyler Flowers.